Today will see the official launch of the Mayflower 400 international programme, a four-nation commemoration marking the sailing of the Mayflower ship in 1620 from England to the New World. The Mayflower 400 will explore all aspects of the Mayflower history and legacy reflecting the core themes of imagination, humanity, freedom and future. The programme encompasses a national visitor trail of 11 destinations in England, including Worcestershire, 12 months of cultural and events activity in addition to sporting, cultural, community and volunteering aspects. The programme will include illuminate events to mark the start of the commemorative year in all 11 destinations, a touring heritage and arts project “Wampum Belt” in partnership with the Wampanoag nation, and a two-day historical “Mayflower 400 Pilgrim Conference” organised by Worcester Cathedral. The launch event, which will take place in the House of Commons from 4.00-6.30pm, will see global representatives unite from all of the four nations and will send a clear message from all, regarding the strength and significance of the relationship between the UK and the United States of America. 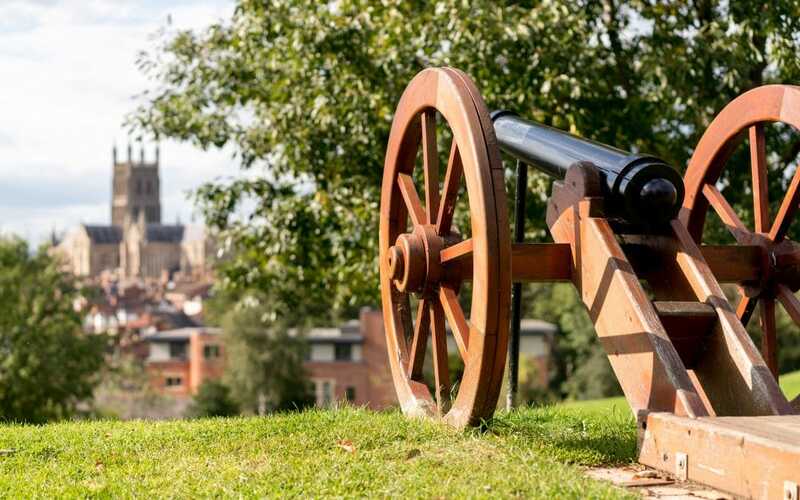 Visit Worcestershire has been working closely with other destinations across the country as part of a £700k VisitEngland project to create multiple itineraries which have American connections, in addition to the Mayflower 400. Promotional activities have included Visit Worcestershire organising journalist and International Tour Operator visits to experience the Mayflower story within the county to boast what Worcestershire has to offer to US visitors. Highlights of the county included; Worcester Cathedral, The Hive, The Commandery, Morgan Motor factory tours, Severn Valley Railway and RAF Defford at Croome National Trust. Visit Britain/VisitEngland Chief Executive, Sally Balcombe, said: “We know that visitors from US are interested in finding out about their history, and Mayflower 400 will draw more tourists to our shores as they come to experience the once in-a-lifetime events taking place next year. Emma Wheeler, Tourism Officer at Visit Worcestershire, commented: “This is a great opportunity for Worcestershire to raise its profile regionally, nationally and internationally. “As a county, we have played a part in many significant changes over the years, impacting the development of the world we know today. These stories are behind many of our key visitor experiences. If you are interested in finding out more about how to get involved, please contact Emma Wheeler on tourism@visitworcestershire.org or visit www.visitworcestershire.org.